(VOVWORLD) - Vietnam still has more than 300,000 unidentified martyrs’ remains buried at war cemeteries nationwide. The remains of more than 200,000 other martyrs still haven’t been found. Advanced technology will be needed to identify the unknown martyrs. DNA tests are the bridge that will link unknown martyrs with families who lost loved ones during the fight for national independence. According to scientists, every person has unique DNA except for identical twins. Doctor Ngo Duc Phuong, Director of the Genetic Testing Services (Gentis) Company, underscored the essential role of DNA tags for doctors and scientists in molecular biology. “DNA tags are important to identify the blood relationship among consanguineous individuals. The tags can be used to protect the legitimate rights of a person and for identification purposes,” Phuong said. In developed countries, DNA tests have been used for decades to identify the remains of fallen soldiers. 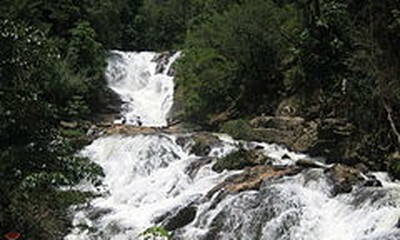 In Vietnam, Gentis is the first company using state-of-the-art technologies for this purpose. 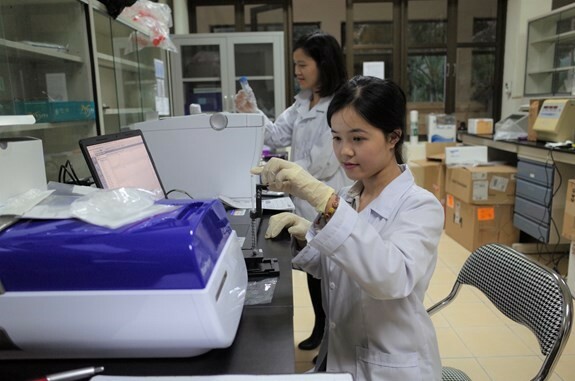 Dr. Tran Thi Thanh Huyen, Deputy Director of the DNA Identification Center of the Institute of Biotechnology, says that every year about 1,300 samples of remains are sent to the Institute for genetic identification. Last year, Vietnam found the remains of nearly 2,400 martyrs. A website for martyrs’ information and graves has been in operation at thongtinlietsy.gov.vn since last December. The website has a search function that filters out duplicate data, shortening processing time. People can search and send the results to functional agencies instead of delivering hard copies as in the past. Minister of Labor, Invalids, and Social Affairs Dao Ngoc Dung said a national genetic reference bank will be built to support the retrieval of information on martyrs’ remains. “We will take necessary steps to ensure the process is open and transparent and pursuant to legal regulations. And we will deal with each case, each situation, in a spirit that local people will support, and will not let anyone seek profit from the state policy,” said Dung. Experts have called for a national program to collect DNA samples from martyrs’ relatives to create a DNA database. The Vietnam Institute of Software and Digital Content Industry will continue to work with the Defense Ministry and the Ministry of Labor, Invalids and Social Affairs to improve the database and integrate data on martyrs’ cemeteries, propose integrated solutions for information analysis using various sources including social networks to assist martyr identification.